WIFE: "There's trouble with the car. It has water in the carburettor." 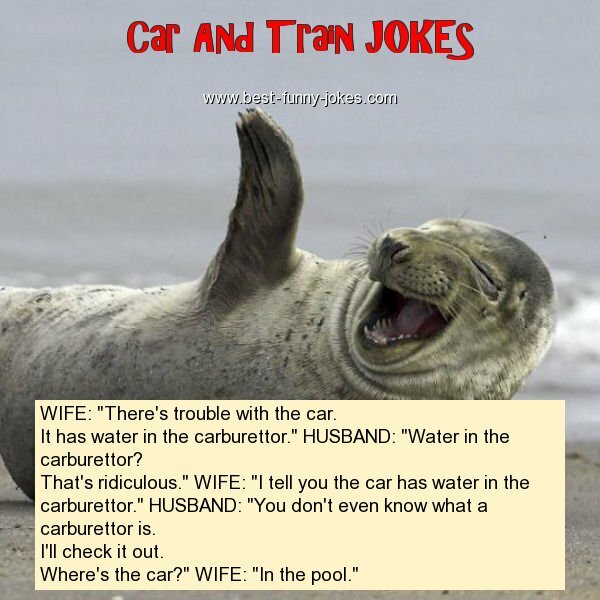 HUSBAND: "Water in the carburettor? That's ridiculous." WIFE: "I tell you the car has water in the carburettor." HUSBAND: "You don't even know what a carburettor is. Where's the car?" WIFE: "In the pool."